I am a user of the HTML video converter. Can I use this best free webm converter to convert my music songs? This app is designed for HTML5 video conversion only. 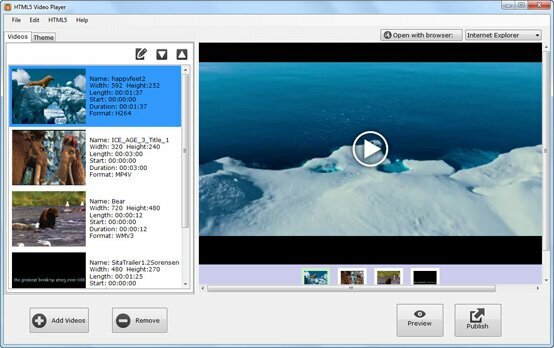 If your music songs are video music, you can convert them into webm and other html5 video formats. However if they are audio files, you will not be able to convert the music audios into HTML5 videos.